There are several benefits to owning a pressure washer. 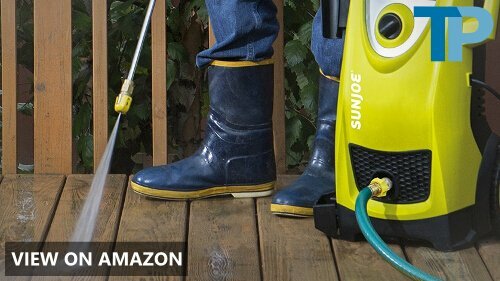 First, it helps get rid of slippery moss and mold that could be a slipping hazard. 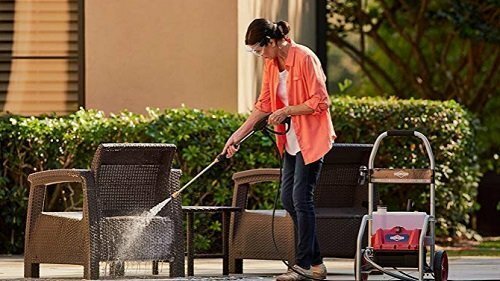 Second, it makes the exterior of your home, outdoor furniture, and vehicles sparkly clean and easy on the eye. Finally, regular cleaning of your driveway and walkway could actually increase the value of your home by up to 5% when it comes time to sell. 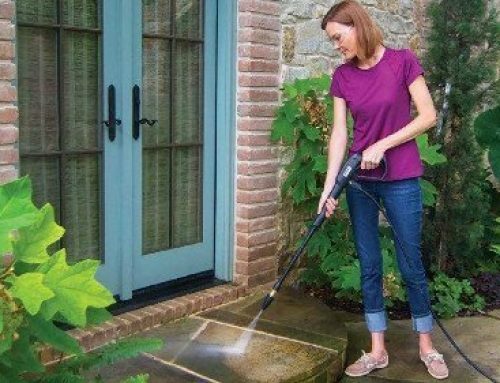 Of course, a major benefit is that you won’t need to take out the bucket and brush and spend hours on your hands and knees scrubbing stubborn mold and oily spills from your driveway. 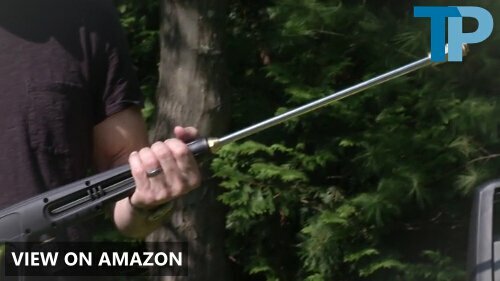 In today’s article, we’re going to take a look at the SPX3000 from Sun Joe. 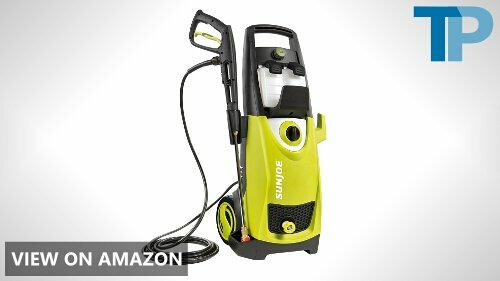 This electric pressure washer has received overwhelmingly positive reviews from users for its simple design yet superior cleaning ability. One great feature is its ability to take in warm water that helps dissolve caked-on stains. Let’s see what all the fuss is about with the Sun Joe SPX3000. 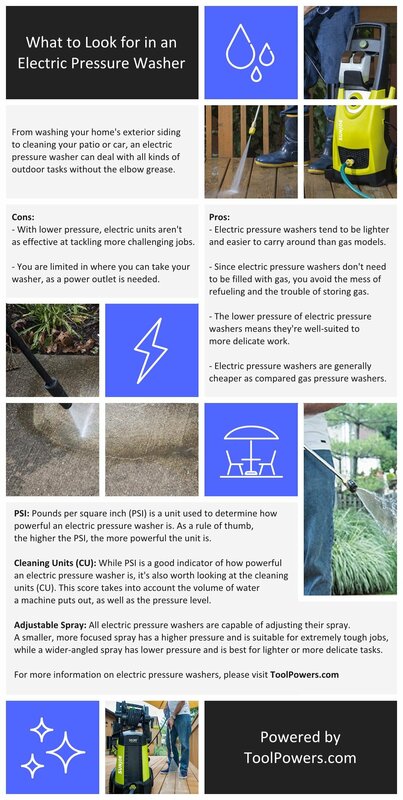 The most important factors to consider when purchasing an electric pressure washer are how much power it can generate and how much water it consumes to provide maximum pressure. 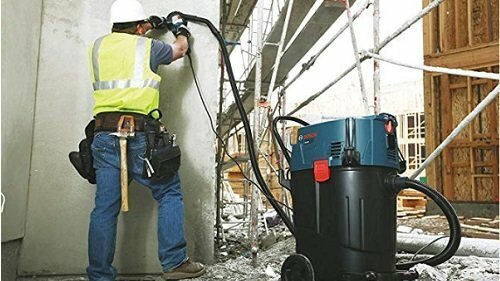 The SPX3000’s 14.5-amp motor generates a healthy 2,030 PSI of pressure while using only 1.76 GPM of water. 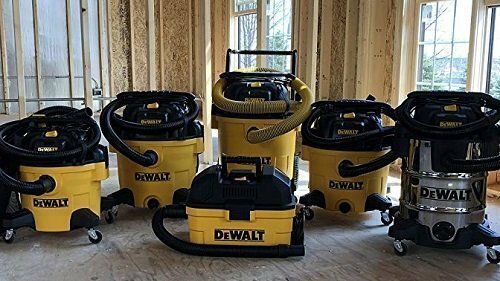 Compared to a traditional garden hose (40 PSI at more than 20 GPM), you know you’ll be doing yourself and the environment a favor by speeding up the cleaning process whilst using much less water in doing so. 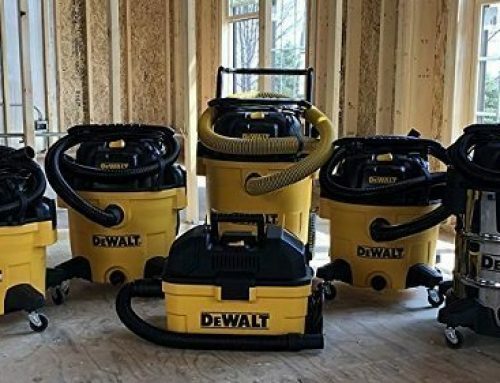 When cleaning your home and car, you won’t want to blast a pencil-like 0° jet of pressurized water since it could crack windows and strip away paint. Instead, with the SPX3000, you have the option to attach five different nozzles to the end of the wand. 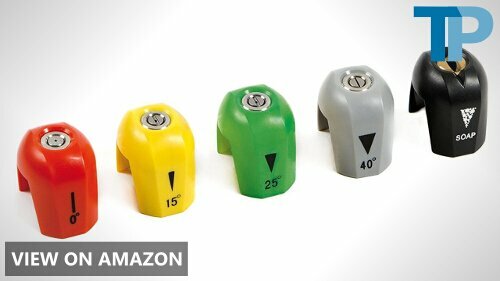 The SPX3000 comes with 0°, 15°, 25°, and 40° nozzles for use on different surfaces with varying amounts of pressure. The fifth nozzle is used for spraying soap. 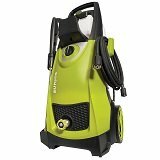 The SPX3000 comes with two onboard 0.9-liter detergent tanks. For anybody who’s serious about cleaning their cars, they’ll know that the paint job of their vehicle requires special care and special suds. 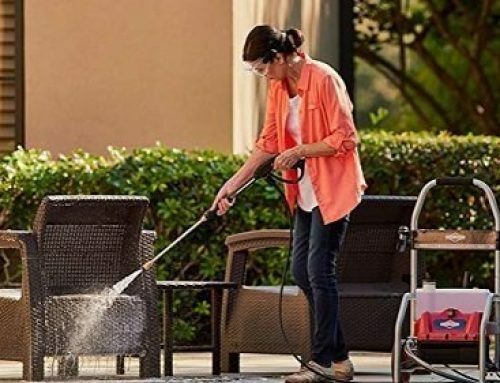 The detergent used for cleaning driveways and patio furniture can be too harsh on the body of your car, potentially creating unwanted streaks and a loss of shine. With the dual detergent tank set up of the SPX3000, you won’t need to clean out the tank before pouring in your suds. Instead, you can use one tank for one job and the other tank for another. 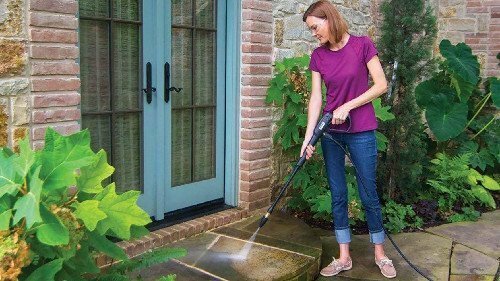 One feature that many pressure washers don’t include is the ability to take in warm water. This is mainly because their engines are cooled by the flow of running water that passes through them in preparation for creating pressure. 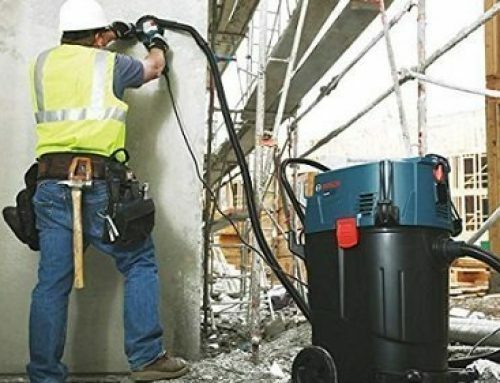 The SPX3000 is extremely unique since it can take in water of up to 104°F, making dissolving dirt, grime, and oil spills much easier to do than with cold water. 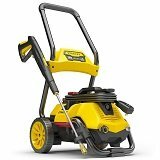 Something that has haunted pressure washer users for years is that the engine is constantly running even when you aren’t pulling the trigger. This means you’re using far more electricity than needed. However, thanks to the Total Stop System (TSS), the SPX3000 won’t use up more energy than necessary. Whenever the trigger is released, the engine will cease pressurizing water. 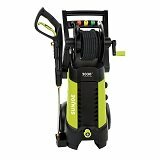 Although a hose reel won’t do anything to improve a pressure washer’s performance, it’s still a nice feature to have. 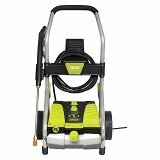 Unfortunately, the SPX3000 doesn’t come with a hose reel so you’ll have to coil up the 20-foot pressure hose manually. 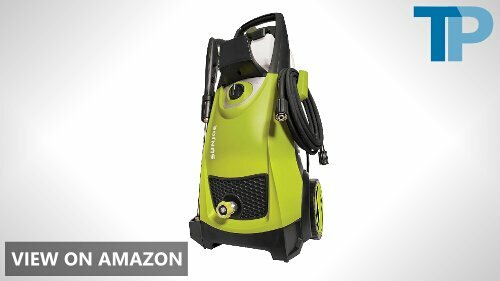 Although the hose isn’t exactly delicate, it still requires careful handling to ensure it doesn’t rip or tear. A hose reel would make cleanup easier, but you can get by without one. At first glance, the SPX3000 from Sun Joe may not look like much. In fact, aesthetically, it’s not very pleasing, but what it lacks in looks it makes up for in performance. The thing we’re absolutely bonkers about is its ability to take in warm water – up to 104°F – to dissolve dirt, mold, and oil. Everything else, from its PSI and GPM ratings to its dual detergent tanks, isn’t really that spectacular. 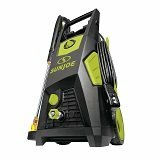 At the end of the day, what’s important is how well it performs, and the Sun Joe SPX3000 Electric Pressure Washer gives no reason to doubt its amazing cleaning power.